Why do a home inspection? A professional home inspection is an integral part of the home buying process and selecting a professional inspector is just as important. Ask family, friends and real estate professionals for names of inspectors that they had success with. 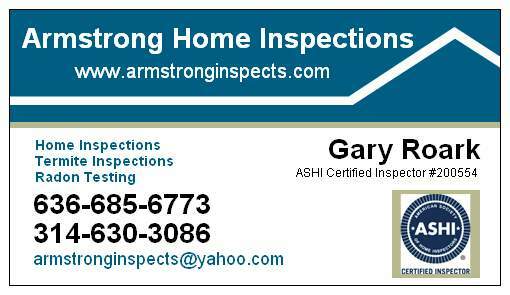 Ensure the inspector is affiliated with a professional organization like ASHI - The American Society of Home Inspectors. Ask the inspector for his/hers experience, years in business and number of inspection performed. Armstrong Home Inspection can accommodate all these criteria.